Whether you are hosting the family Christmas gathering or coordinating an office party, planning games for a large group can be both fun and challenging. You need to take the interests of a more diverse group of people into account as well as making sure you have enough resources for the games to be played. 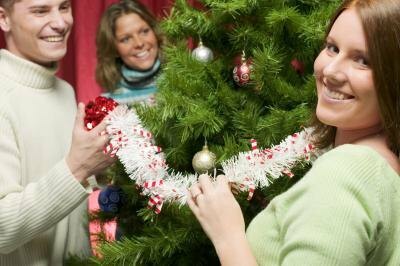 3 people smiling and decorating a Christmas tree. In this game, the large group will be split up into teams of two to five people each. Determine how many teams you will have. Once you know the number of teams, you should look around the space where the party will be held. Find a good hiding spot to place a gift for each team and hide the gifts. For each hiding spot, you will also need to write a clue. Use a piece of cardstock paper or thicker to write the clue on. Cut the paper into smaller pieces and seal inside of an envelope. Do this for each clue. At the party, give each team an envelope. The team will need to put the puzzle back together and solve the clue. When they solve the clue, they will find the gift. 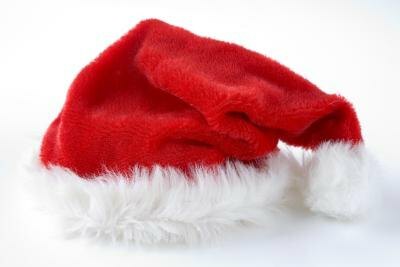 Red Santa hat against white background. Whether colleagues or relatives are attending the party, there is always something new to learn about each other. 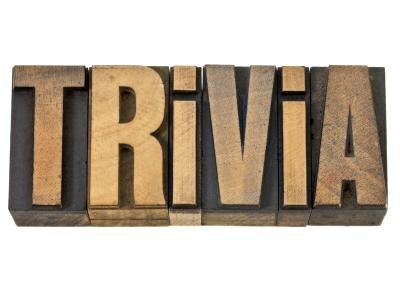 Prior to the date of the party, ask everyone to send you some trivia about their own holiday experiences. After you’ve received the responses, print up a worksheet listing the experiences and a list of the attendees. At the party, hand each guest a worksheet and ask them to match the attendee to the experience. The guest with the most correct answers wins. This game also works well as a slideshow presentation. Trivia spelled out in wood. Gift-giving can be expensive, especially if your guests have several parties to attend bringing gifts. A white elephant gift exchange is a fun, inexpensive alternative. Guests should bring a wrapped gift to the party. This can be something they are no longer using, something from a thrift shop or a gag gift. Those participating should gather in a circle with the gift they brought in their laps. One person can read a story that is filled with the words "left" and "right." Whenever the word "left" is spoken, the group passes the gift they are holding to the left. Whenever the word "right" is spoken, the group passes the gift to the right. At the end of the story, everyone takes turns opening the passed-around present now in front of them. Plain gift with white ribbon.